Psychic cancels show due to unforeseen circumstances! 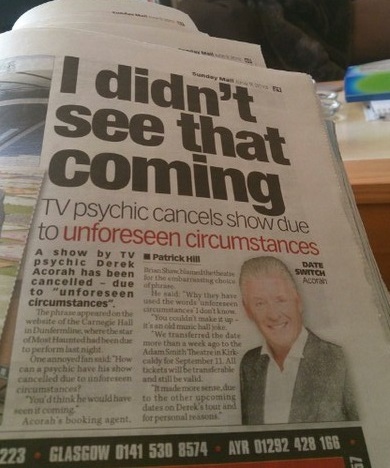 Its a classic from Derek Acorah! Thanks to @stevescotch72 for sending this is!